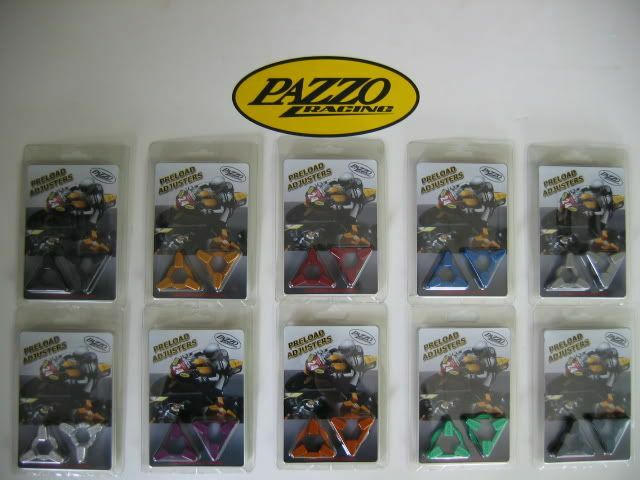 Pazzo Racing Pre-Load Adjusters $43.95 :: Podium Superbike Inc.
PODIUM SUPERBIKE INC. IS AN AUTHORIZED PAZZO RACING DEALER AND ONE OF THE LARGEST STOCKING PAZZO DEALERS IN THE U.S.A. ! 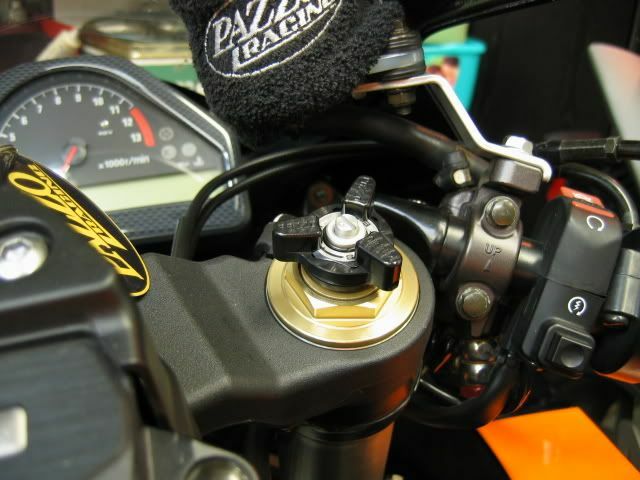 Pazzo suspension preload adjusters give you front suspension preload adjustability at your fingertips. With sleek, streamline styling it is also a unique aesthetic modification for any street or show machine. The suspension preload adjusters are made of the high quality aircraft aluminum and anodized in 10 different colors to match almost any motorcycle on the road. Some applications do require a wrench as preload is too tight, in these instances the adjusters are purely cosmetic.